The book makes it easy for adults to share their passion for this great state with the young children they love. Award-winning children’s toy designer and artist Suwin Chan captures “the way life should be” with illustrations of fishing boats, lumberjacks, canoeists, whales, lobsters, seals, puffins, moose, loons, lakes, rivers, mountains, villages, and so much more. 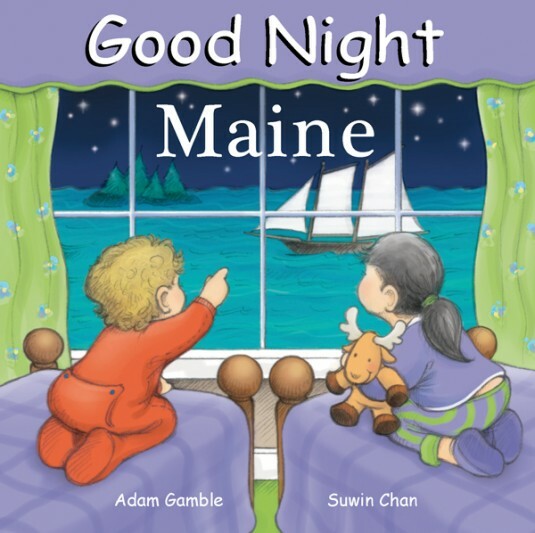 Like the other titles in the Good Night Books series, this top-quality boardbook takes its readers through both a day (“good morning,” “good afternoon,” “good evening,” “good night”) and through a year (with illustrations for spring, summer, autumn, and winter). And it all happens on the way to a good night’s sleep.